Edna, Impurity, Hyoma, and more depicted. 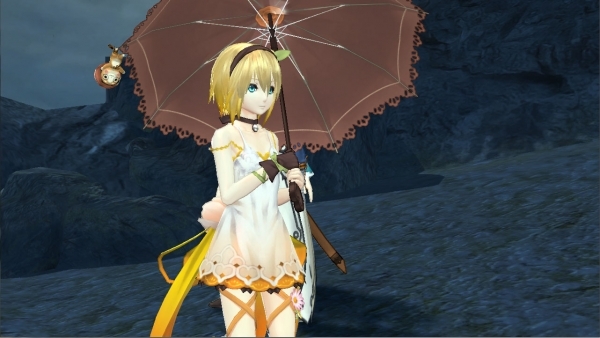 The latest set of Tales of Zestiria screenshots show the recently introduced Edna, Sorey and Alisha’s battle style, the sacred mountain of Leifolk, and two new elements. Impurity is negative energy born in the hearts of humans, such as hate, jealousy, and malice. It’s natural that anyone would give this off, but if it accumulates to an abnormal degree, a hyoma will appear. Hyouma are the transformed apparition of people or plants/animals that are under a strong impurity influence. Those with the Reinoryoku (spirit sensing power) can see their true form, but normal people can only see the person, plant, or animal turned ferocious, or strange phenomena such as tornados or lightening that act with intent. Tales of Zestiria is set in the “age of calamity,” which is full of impurity, and Hyouma are beginning to pop up not just in mountains or forests, but on the streets of cities as well.